Can I Get a Natural Looking Facelift That Doesn’t Look Overdone? Home » Blog » Can My Facelift Look Natural? Facial rejuvenation can work wonders for enhancing your looks and boost your confidence, all of which adds to its popularity. One way to refresh your look is with a facelift, but whether or not to get a facelift can be a huge decision to make – understandably so. Although I am highly recommended to them, many of my clients still ask if they’ll get a natural looking facelift. Obviously, no one wants to look as if they had something done. 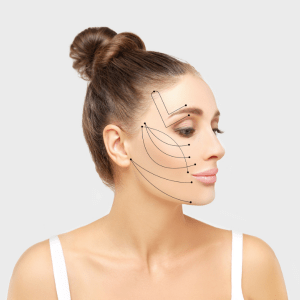 Before discussing what makes a facelift look natural, and how you’re going to look afterward, I want to explain to you what goes into facelift surgery. A facelift or rhytidectomy is a surgical procedure designed to give you a more youthful look, by minimizing visible skin wrinkles and jowl lines on the face and neck. 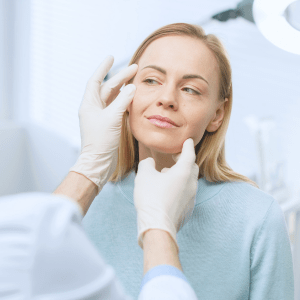 What Should I Expect with Facelift Surgery? A facelift is an outpatient procedure, which I perform here on the premises. Before we begin, you will get some anesthesia. After the procedure, to minimize swelling, your face will be bandaged, and I will give you instructions on how to care for your surgical site. Thereafter, we’ll schedule a follow-up appointment. I typically remove stitches after the first week. We can discuss which method would work best for you. When Will I See Results from My Facelift? It usually takes about 10 to 14 days for your face to feel normal again. A few days later – about the 2-week point, many people return to their jobs or resume other activities. You’ll start seeing visible results of your facelift as the swelling and bruising go down, but it could take about 2 to 3 months before you’ll get the full effect. 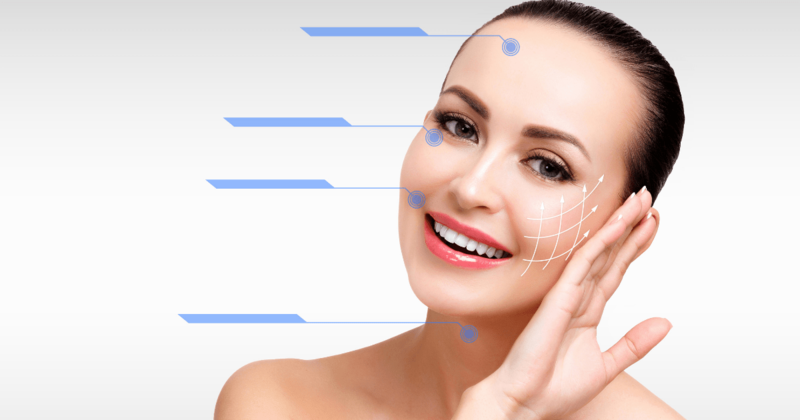 What Makes a Facelift Look Natural? A natural looking facelift begins with working with an experienced board-certified plastic surgeon. Thanks to more information, new tools, and technology, facelifts have improved over what they used to be several years ago. Facelifts are no longer a one-size-fits-all procedure and will give you a more natural look. Natural-looking facelifts are always a balance of pulling tight enough to make patients happy without making them look overdone. You can also get a more natural look by getting other treatments or procedures that can complement your facelift. Some patients get eyelid surgery or a brow lift, or Botox for wrinkles, or fillers. I take special care in making sure my patients get the best results. As I mentioned earlier, a facelift will help give you a more youthful look, but it can’t stop the aging process. It won’t get rid of wrinkles, but it will minimize some of them. During our consultation, we will discuss your goals and put a plan in place. To me, it’s just as important to point out when patients do not need a particular procedure as when they do. We work together to give you the natural look you desire. So, can you facelift look natural? The answer is yes, and I wouldn’t have it any other way. When you’re ready for facial rejuvenation and want to get a facelift with natural-looking results, call us at 301-656-6398. I have three locations, making it easy for you – two in Maryland and a location in Virginia. Call today and make an appointment for a consultation.